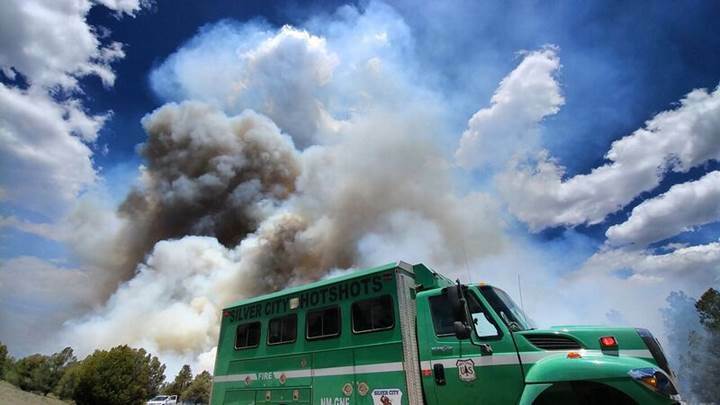 Welcome to Silver City Interagency Hotshot Crew webpage. Below you will find a brief description of Hotshot Crews general mission as well as our specific organization. The Silver City Hotshot crew will strive for excellence in all we do through a positive team environment based on safety, hard work, mutual respect and continual learning. Our strength comes from our ability to operate as an effective team. Type 1 Interagency Hotshot Crews (IHC) represent the United States with the finest wildland fire expertise in the world. From their inception, Hotshots were organized to handle the largest, most complex fire situations across the country. These fires involve everything from steep mountainous terrain to the suburban neighborhood found in the urban interface. As per the standards that govern IHC organization, they are expected to maintain the highest level of duty, respect, and integrity while also providing sound operational leadership to not only their crew but adjoining resources and incident management teams. Hotshots bring order to the chaos found in the dynamic and hazardous environment of wildland fire. Let there be no doubt in your mind the images you have seen on television or the internet fail to represent the full nature of the work. As a hotshot you are required to obligate to six months of constant on-call duty. When off the clock you have two hours or less to report to duty and be ready for whatever the orders dictate. You are away on assignments for 2-3 weeks, sometimes more, sleeping on the ground and eating MREs after you have worked 16 hours of hard manual labor. Often showers come once or twice per roll as well as hot food depending on the assignment. Hotshot crews spike out in remote locations with no cell phone service and little to no comforts expected in our modern society. You are dirty and wear the same clothes day after day, with the small joy of changing your socks. You will wake up at 530 AM, hurting, cold, tired and expected to hike 1,500 feet of vertical cross-country travel to your work site carrying a 45-50lb pack, tool or chainsaw, and 5 gallon containers of water to supply the crew throughout the work shift. Hotshots operate their tools or chainsaws for a full day of work, often from sun up to sun down and sometimes longer during initial attack or extended operational shifts due to critical firing missions. The glory you envision in your head normally only accounts for 5% of the work, while the remainder is hard, tedious, hazardous, manual labor under the most extreme conditions.